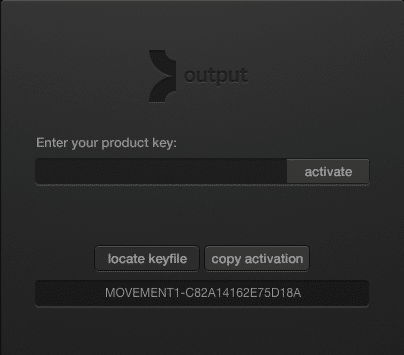 As of MOVEMENT v1.0.3 offline activation is now supported. If you're using a PC, please read this post before proceeding to make sure your offline machine can provide a valid MAC address. 1. 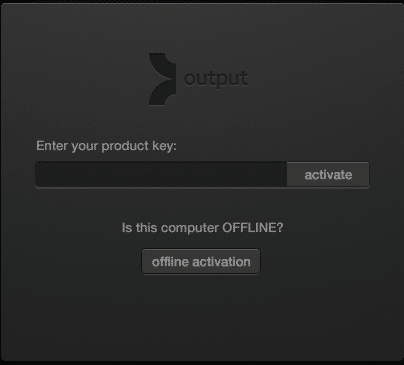 Click the 'offline activation' button. IMPORTANT-PC USERS: before clicking, you must make sure that your machine is offline in the exact state that you plan to use MOVEMENT (i.e. disconnect/disable all network cables/NICs that will be disconnected/disabled when you use MOVEMENT). 4. Paste your MOVEMENT serial code into the top field, click submit. 5. Your browser will download a .key file. Transfer this file to your offline machine using a portable hard drive. 6. In MOVEMENT, click 'locate key file' and select the .key file which was transferred to your offline machine in the previous step. That's it! Remove and reload MOVEMENT from your channel and you will be all set. Please note, MOVEMENT can only be activated on two computers. If you would like to remove MOVEMENT from one of your computers, contact us for the uninstaller. How Do I Install MOVEMENT?